Any regular reader of my ramblings knows I like chest packs. I find them damn handy and for me, an ideal way to carry things I access often or want to have immediate access to. The original concepts were geared towards people who wanted to carry a side arm and a pack with a waist belt. 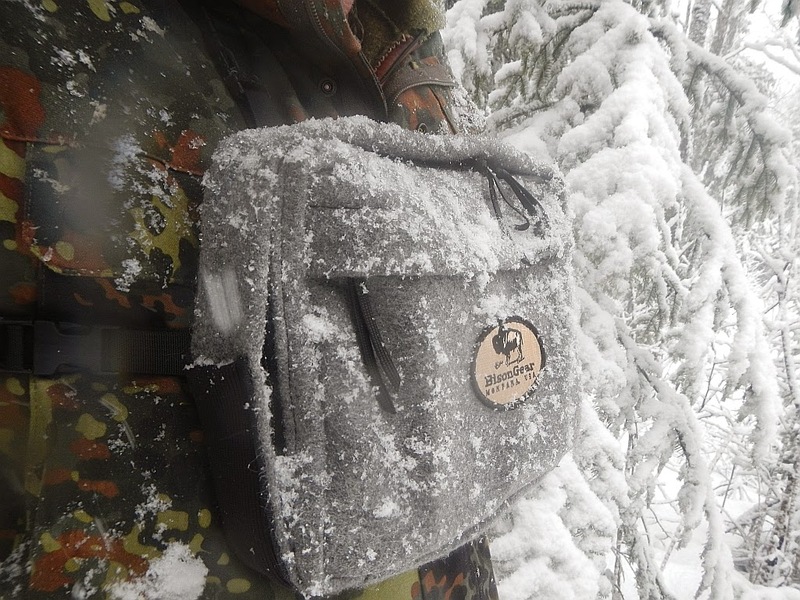 The chest pack made for an excellent means to carry concealed with quick access while backpacking. 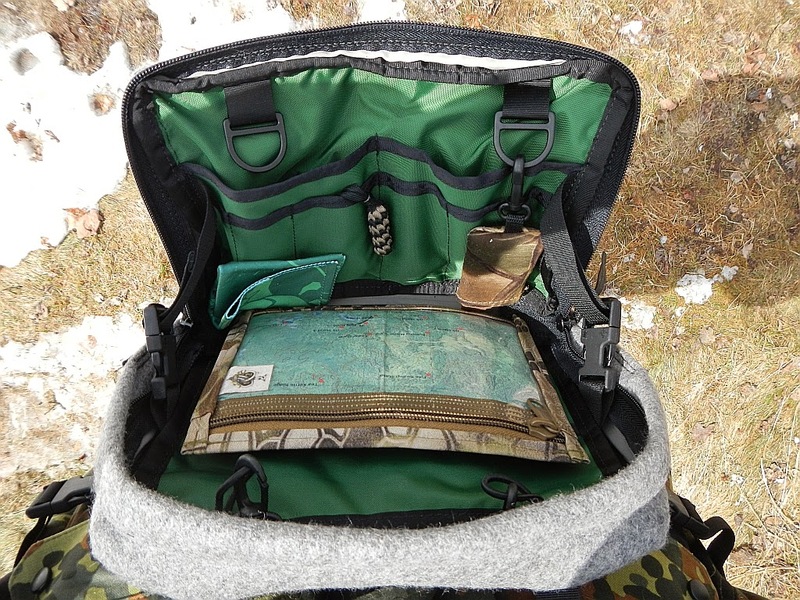 There are offerings out there from a number of companies, Kifaru, Hill People Gear, are the two I've used in the past. Now there is a third. 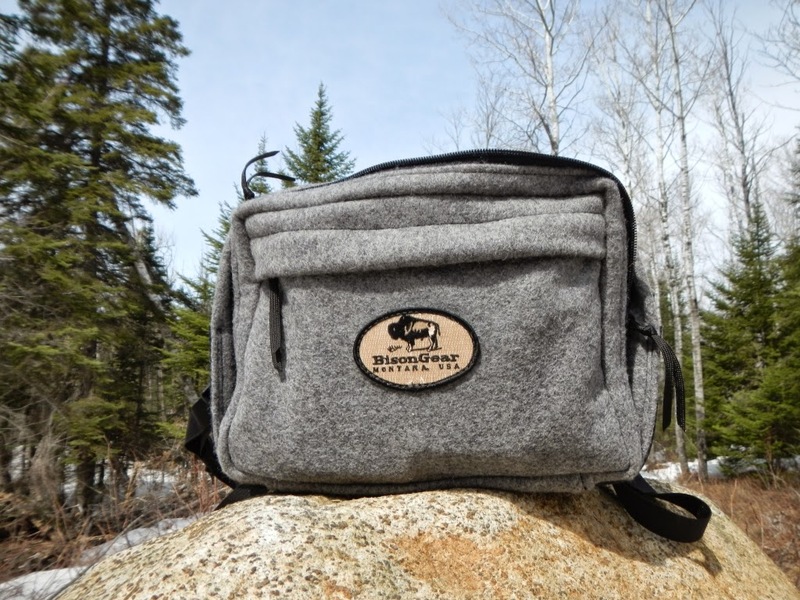 Sometime last year I began communicating with BisonGear about a chest pack made of wool. My requirements were simple, had to be quiet, had to have a couple separated compartments and some organizational capability. After a recent trip I returned home to find the prototype, which exceeded my expectations. The utility of the chest pack has proven itself to me over the past couple of years and I've had virtually no complaints except for noise. 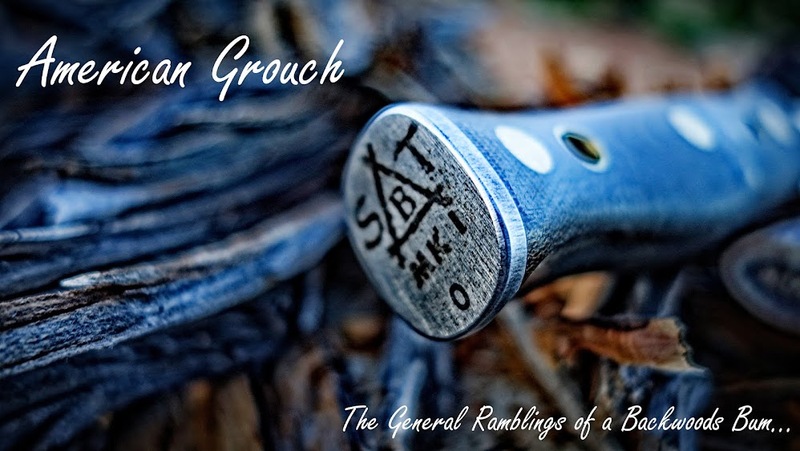 Both of the primary makers of these packs use high speed super durable material and while they are indeed durable they are noisy, as any twig, limb, bramble or briar they come into contact with results in scratching and popping the likes of which are not desirable while hunting. 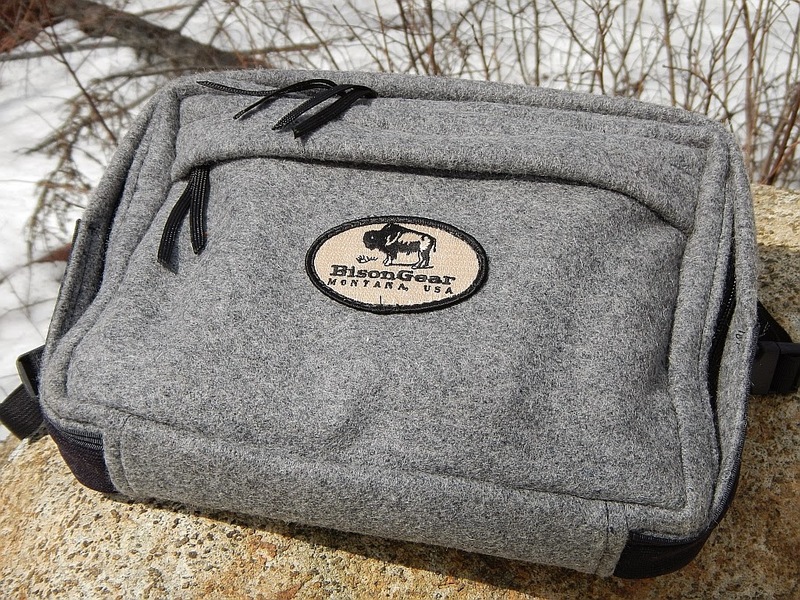 BisonGear offers several material types, I personally own and use several products made of wool and the bucksuede material, they've all proven to be bombproof. Along with wool they also offer Wolfskin which I believe is similar to bucksuede, and hemp. I'm a fan of wool and have found it excels for my uses. Both sides of the pack have these elastic cloth pockets, I have a SAK Huntsman in this one, but they would be great for game calls, like a predator call. The BG Chest pack has a very slim profile yet has enough room to carry all my essentials plus a pair of Leupold 10x42 binoculars. 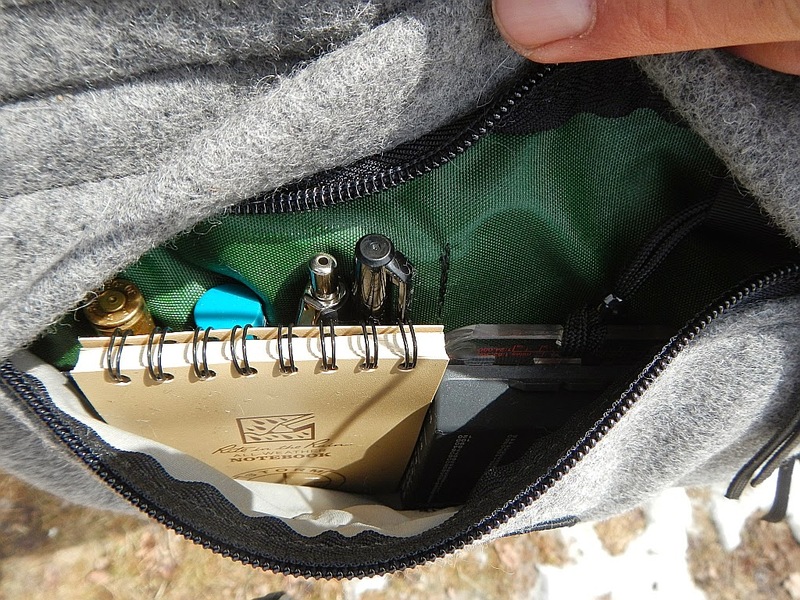 The first pocket is perfect for compass, notepad, pens, and assorted other small items. The main compartment is really three sections. 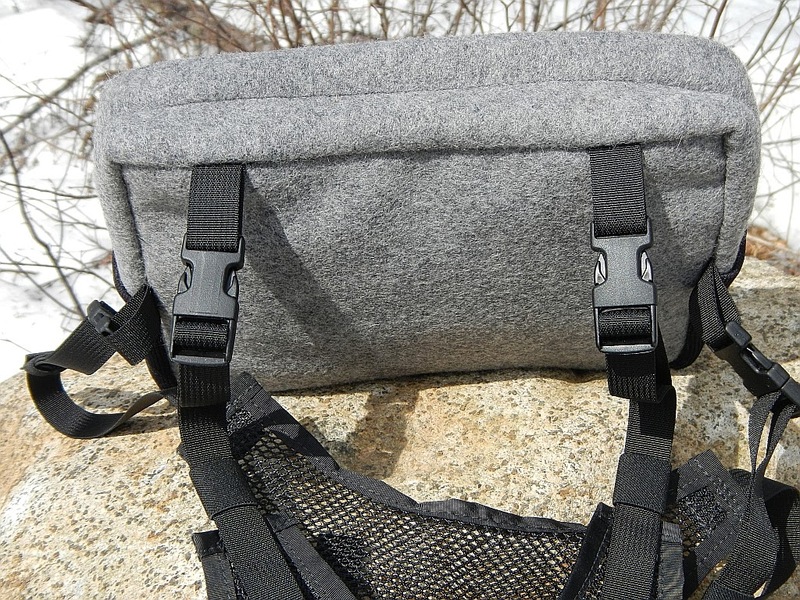 The forward wall of the pack is a series of divided smaller compartments as you can see in the below image. Also note the the webbing and buckles to either side, they can be adjusted in or out, allowing for a stop to the front flap from going any further than you want it to. 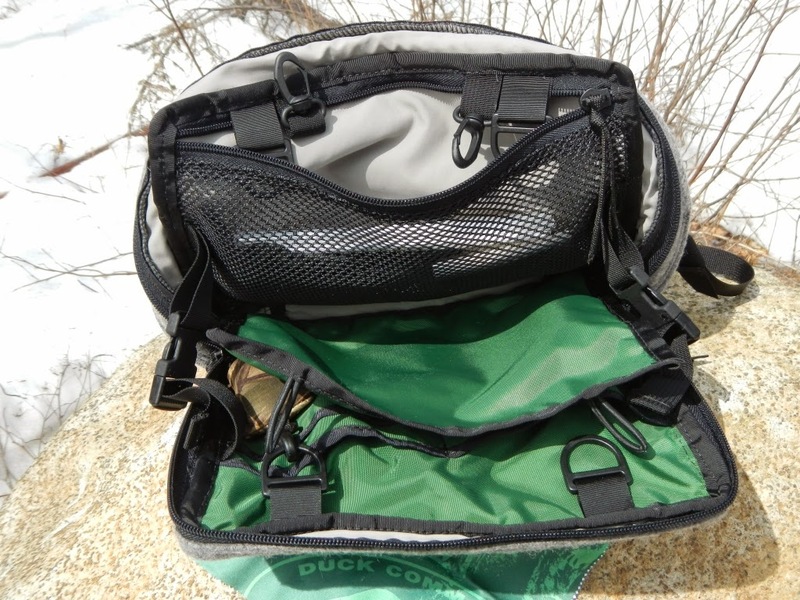 You can completely unzip the main compartment and not have to worry about the forward wall of the pack going to far. There are two D-rings here as well, nice for those of us who dummy cord some things to prevent loss or dropping. The main compartment is divided as you can see below. 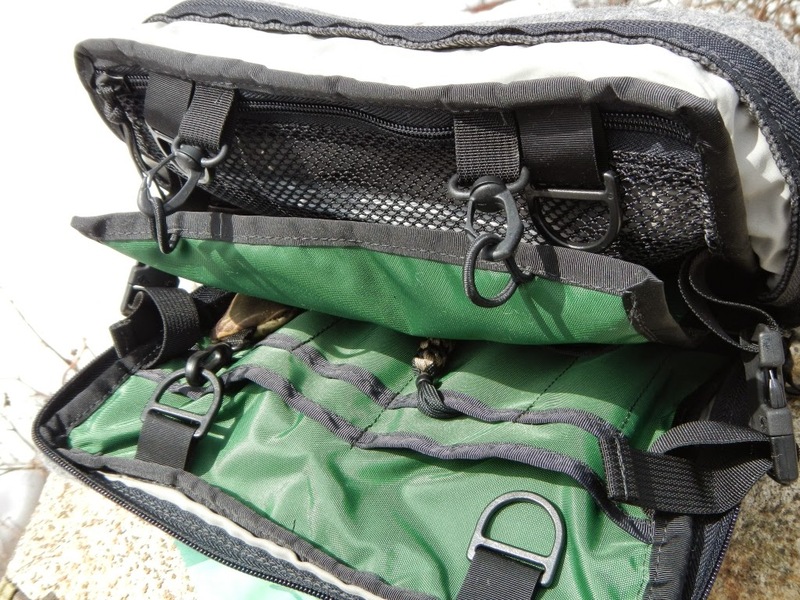 The divider also has small pockets, and attaches to the rear via shock-cord and the swivel clips you see in the image below. There is a second set of D-rings here for more dummy cord action. There are more pockets in this thing than I could fill! 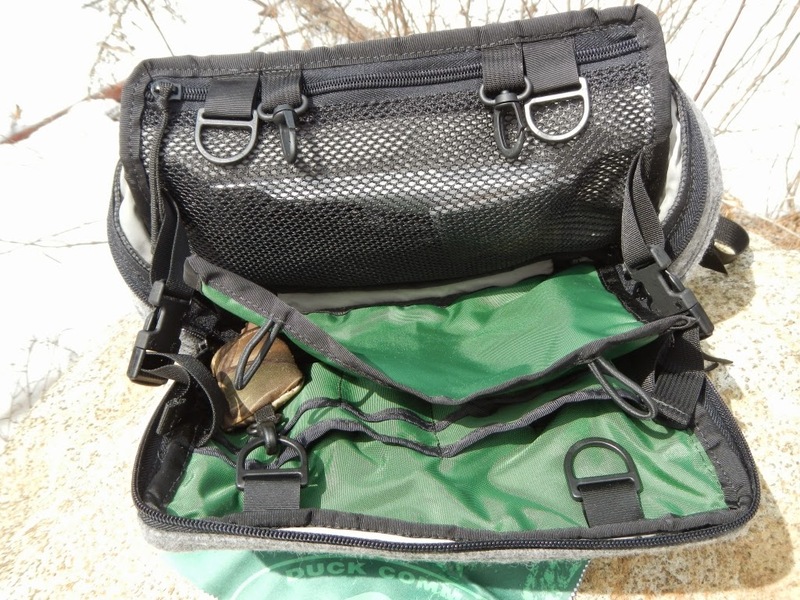 The rear pocket of the main compartment is mesh with a zipper closure. Makes a good place for some spare ziplock bags, warrior wipes etc. There's a ton of space in the pack. I don't know what the cubic inches would come out to be but it's plenty for me. In prior chest packs I carried binoculars, a 5x7 UL tarp, fire kit, water purification kit, navigation, small FAK and assorted snivel gear along with game calls and a small tracking kit. The stitching is the usual grade from BisonGear, exceptional. The webbing, hardware, and zippers are the same ones they use on all of their packs. I've never had any of them fail in any of their other products, I don't expect these will either. 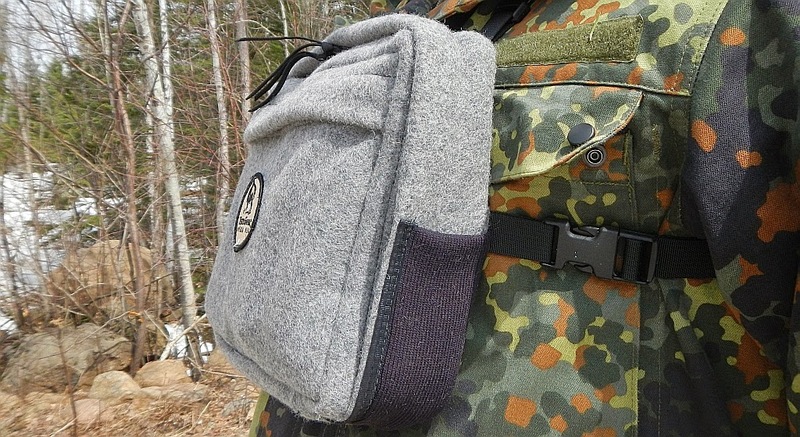 I like the fact that the wool has added some structure to the pack, in the HPG Kit Bag depending on what you had in it, would balloon out and sag. In the BG version the wool results in stiffer side walls and no sag or ballooning. To my knowledge these are not available for order yet and I don't know when they will be. In part two I'll do a direct comparison of the HPG Kit bag including size, weight, organizational aspects and general thoughts. So far I'm quite happy with the BisonGear chest pack. Nice review. As both a Bison Gear and an HPG fan, I'm looking forward to the comaprison. I'm also interested in your comparison. 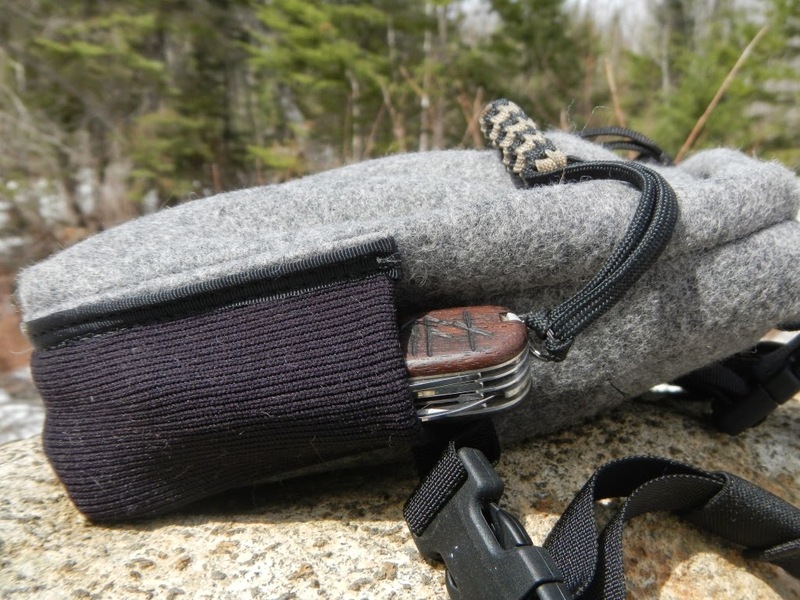 I had contacted BG about doing a wool kit bag when I found your blog. I hope they will make another. How is this shooting with a longbow? I'm thinking of using this in the treestand. I hate having to reach behind me get into a bag hanging on the tree to get food/water, gloves, call, etc. This could be a good solution. I shoot just fine with the pack on. Haven't shot much out of a tree-stand with it on though I don't think that would be an impediment. 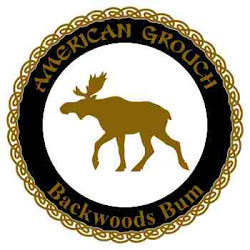 Hey AG - any update on how you like this pack compared to the HPG? 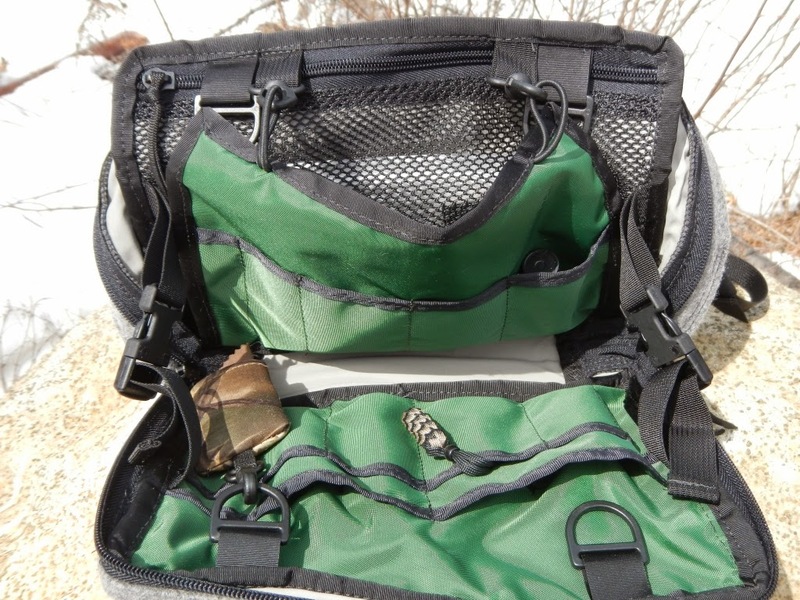 I like the idea of a quieter chest pack for hunting, and one that is a little more compact than the Kit Bag - just big enough for my binos, a couple calls, a tab, and a few other essentials. Thanks! If you keep the weight down it's fine. The straps over the shoulders are narrow and if you get too much weight in the pack you'll get some pain for it. In a recent conversation with Angelo it sounds like he's about to have another version ready to go. Several improvements over the original. The only edge I'd give to the HPG kit bag is comfort when you've got some weight which can happen depending on the weight of your glass. Did this item ever come to market?